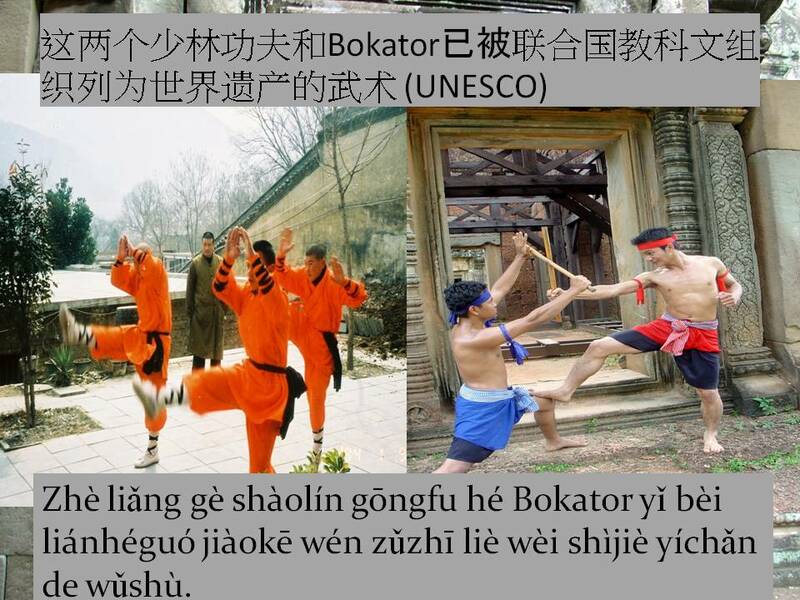 Brooklyn Monk, Antonio Graceffo is a PhD student at Shanghai University of Sport, writing his dissertation, comparing Chinese traditional wrestling to modern, Olympic wrestling. 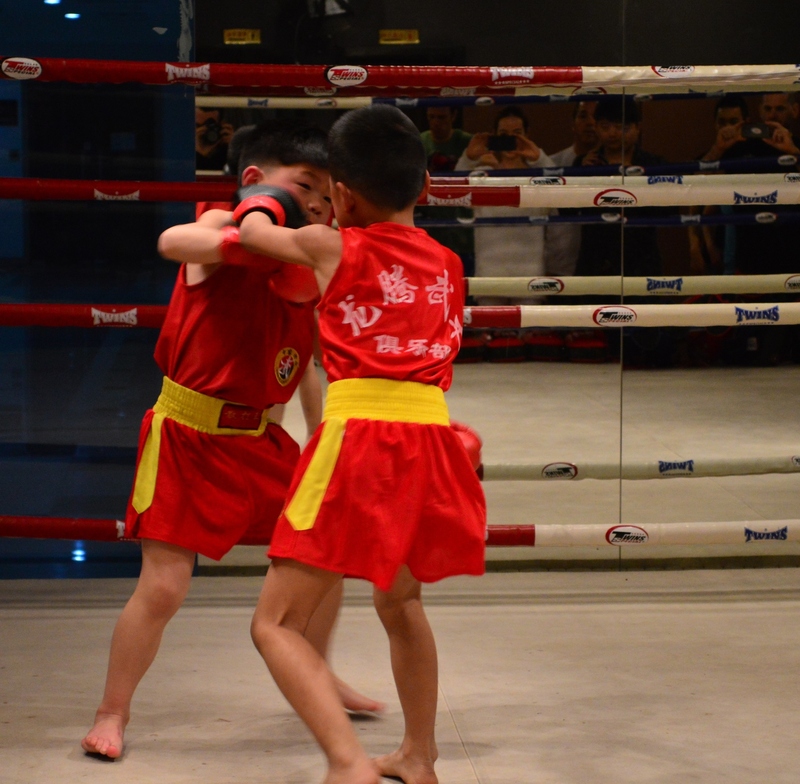 In China, Antonio is on the university’s traditional Chinese wrestling team. 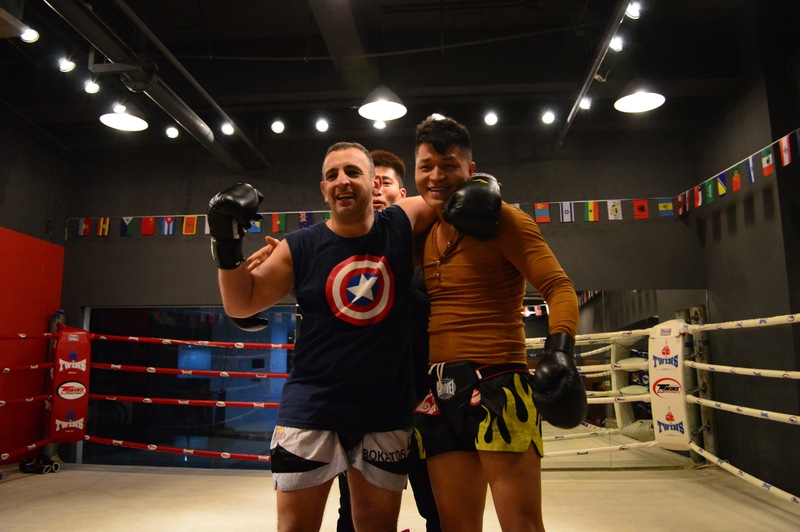 The university lacks a men’s freestyle wrestling team, so Antonio’s best bet for training was to fly to Phnom Penh and train with the Cambodian national team. Jap Leun and Nguong Makara of the Cambodian team help Antonio understand the basics of freestyle wrestling and focus on techniques that Antonio can carry over to either Chinese traditional wrestling or MMA. 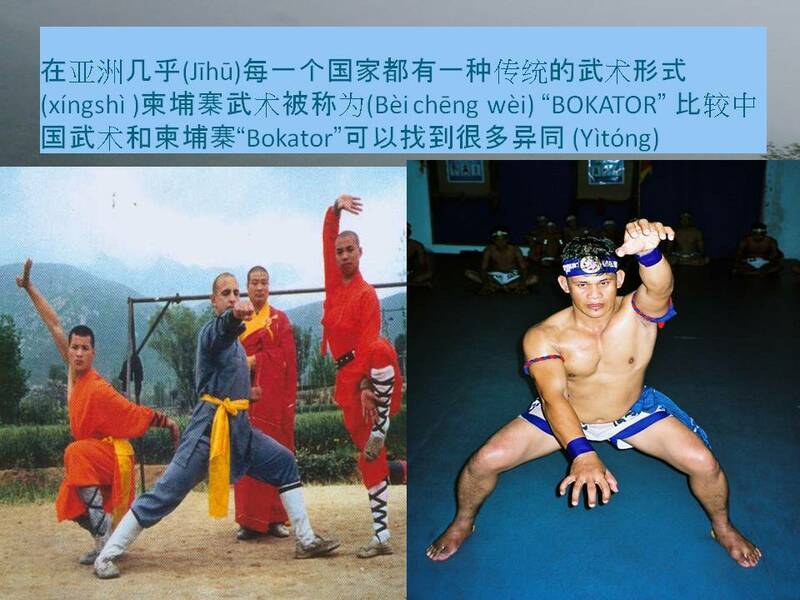 A PhD research presentation (in Chinese), from Shanghai University of Sport, comparing Cambodian and Chinese martial arts. Brooklyn Monk, Antonio Graceffo is writing his doctoral dissertation on comparative forms of Chinese wrestling. Along the 3 year road to his dissertation, he is also writing shorter papers on various forms of comparative martial arts. Brooklyn Monk, Antonio Graceffo loves studying languages. He has published about 200 articles and over 30 videos on second language acquisition and other aspects of language. He is currently a PhD student at Shanghai University of Sport, China, where all of his classes, exams, and research are conducted in Chinese. It wasn’t about winning or losing, it was about endurance, finding your limits and pushing yourself as far as you can. At Fighters Unite Shanghai, fight night, March 13, 2014, Brooklyn Monk, Antonio Graceffo gets an opportunity to get into a ring with 3 professional san da fighters and one amateur MMA fighter on the same night. 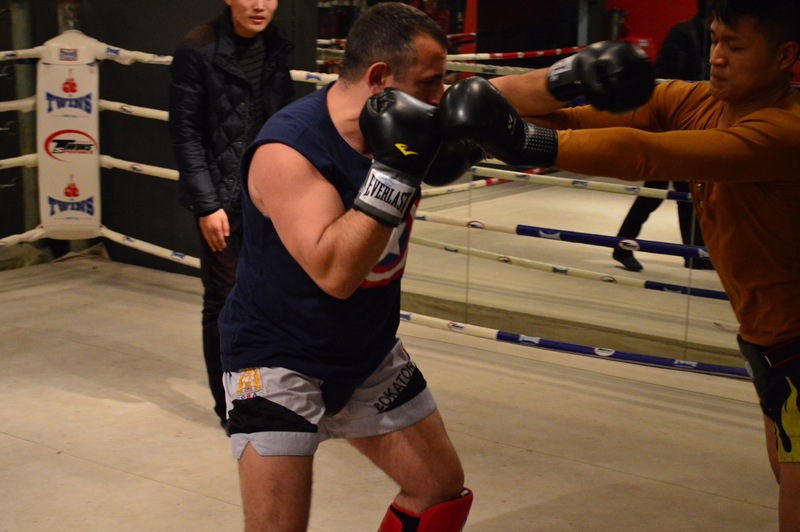 For 9 months prior to this event, Antonio had been training on the traditional Chinese wrestling team at Shanghai University of Sport, where he also cross-trains in san da. As the Monk has notoriously poor speed and kicking ability, the question he hoped to answer was whether or not he could weather the fast and powerful kicks of the san da fighters and if he could get them to the ground before they Ko’d him. On a personal level, he wanted to push himself, to see if he could fight more than once in the same night. On the same night, Coach Silas Maynard took on three opponents and simply laughed about it.